When I think about the debate about whether or not GIS is a profession, one aspect that pokes at me is the inability to succinctly sum up the answer to the question, “What do you do?” in one word. When I think about professions, I think about the one word descriptions that tidily sum up the entire field. People in those professions can provide such terse answers as “I’m a doctor, a planner, a programmer, an architect, and so forth.” For the GIS field, not so. 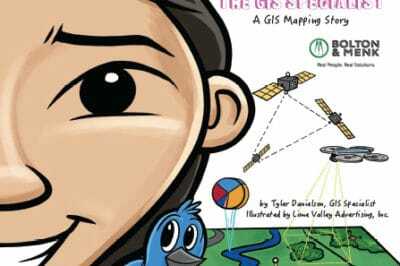 Q. Um, GIS? What’s that? A. 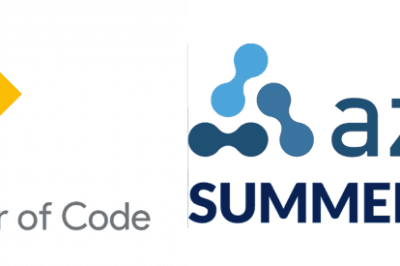 It stands for Geographic Information Systems. A. Oh, it’s sort of like Google Maps. 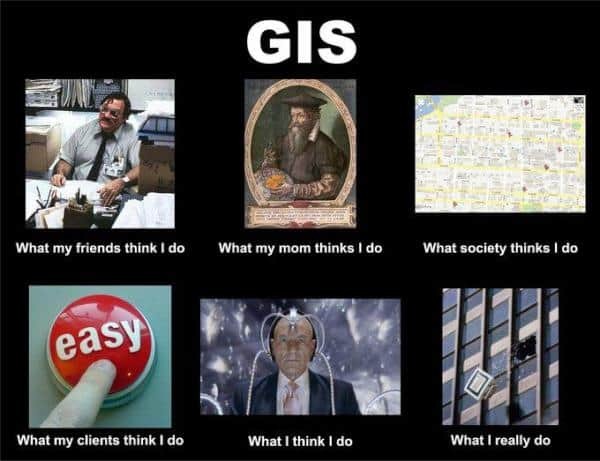 Of course, the last answer seems to be every GIS professional’s lazy and not at all accurate comparison which we all know we shouldn’t use but we do it anyways since it seems to be the only response that makes the confusion in people’s eyes go away. A. Uh, I make maps. So, what’s a good one word description of what we do? 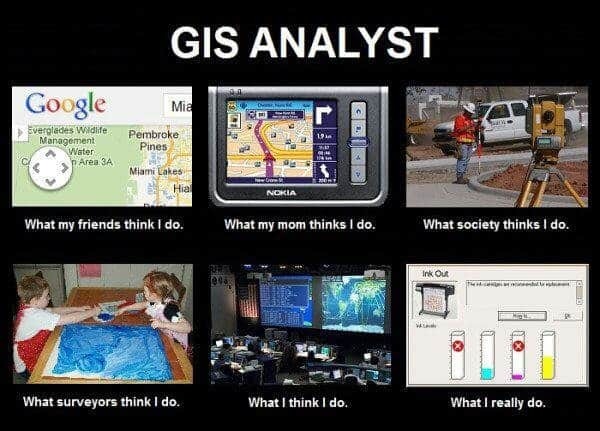 My choice would be: geospatialist. Some tongue-in-cheek answers (and some probably more serious) included Locationologist, geoanalyser, geoanalyticvisualization, and geoinformer. Still Want to Weigh In?